Sometimes too few words isn't enough. 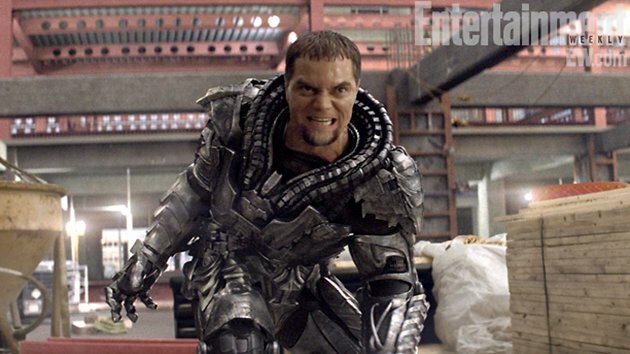 Warner Bros. have released another new trailer for their upcoming Superman summer blockbuster Man of Steel, featuring the film’s villain – who we haven’t seen too much of – General Zod. The trailer (presumably the last one before the film releases in July) takes a look at Russell Crowe’s Jor-El saying his farewells to son Kal-El – who later becomes Superman, to Clark Kent’s adolescent years, to Zod screaming “I will find him!” probably taking place after Supes beats him down a bit. It’s a shiny new trailer with a bunch of new footage, so there is reason to be excited. While all three of the released trailers take on a more serious tone, there has been chatter that the film is actually very action packed and light on its feet. It really is another fantastic trailer for a highly anticipated film.